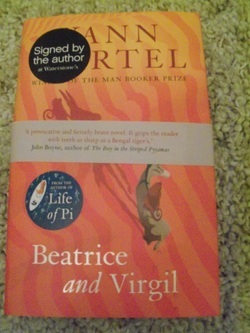 Signed, lined with a quote and dated by the author to the title page. 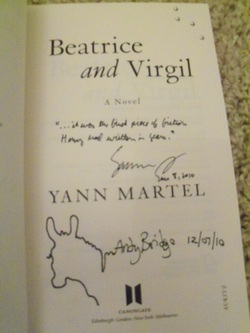 Also signed by the illustrator Andy Bridge, who has also drawn a line drawing of a donkey next to his name. Synopsis : Fate takes many forms .When Henry receives a letter from an elderly taxidermist, it poses a puzzle that he cannot resist. As he is pulling into the world of this strange and calculating man, Henry becomes increasingly involved with the lives of a donkey and a howler monkey - named Beatrice and Virgil - and the epic journey they undertake together. With all the spirit and orginality that made Life of Pi so treasured, this brilliant new novel takes the reader on a haunting odyssey. 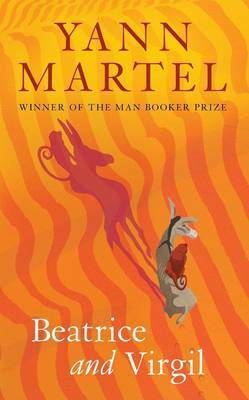 On the way, Martel asks profound questions about life and art, truth and deception, responsibility and complicity.